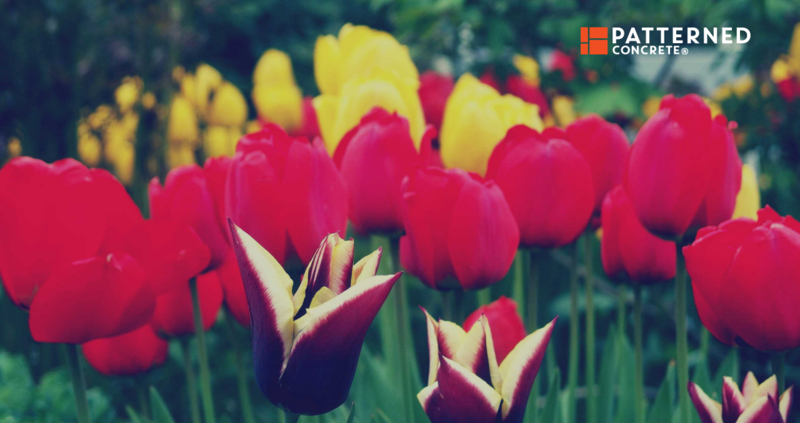 A beautiful flower garden adds color and life to your yard. Whether it’s the view from the street, from your window, or from up close as you walk through it, your flowers and plants bring great beauty to your yard. Whether you love to do the gardening yourself or have someone do it for you, a well-maintained garden adds something special to your property. Let’s have a quick look at some basics to look at when designing a garden and how to enjoy it to the max. We won’t get into specific flowers or plants; that varies too much by region and personal taste. But here are some general principles for guiding your garden design. There are so many beautiful flowers, but it’s important to choose the right ones as well as a good layout for your garden. 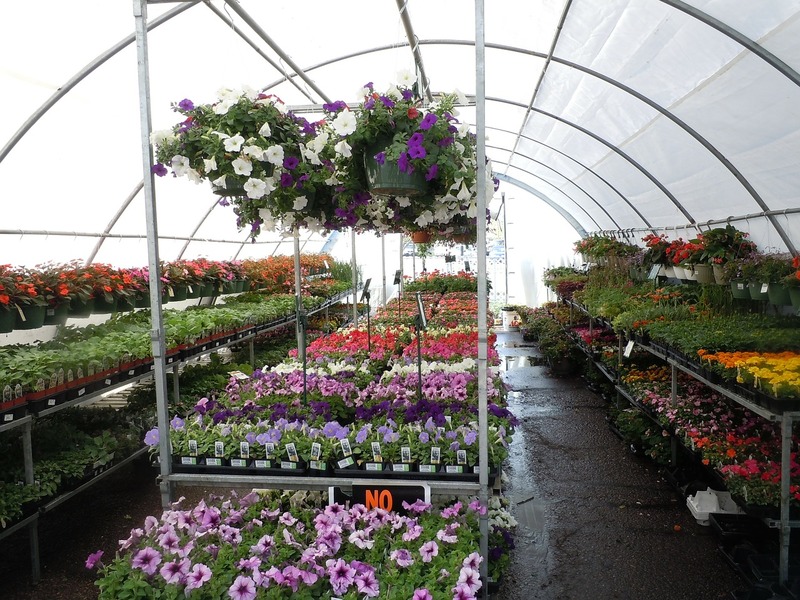 First, you‘ll need to be sure the plants you want will hold up well in your area. Of course, if your local nursery or even big-box hardware store is selling them, they’re most likely suitable – at least in a general way. However, you’ll have to look more deeply at your own property and space to make sure they’ll work for you. For example, what’s the soil like in the area you plan to plant? Is it rocky? Is there a lot of clay? Does it stay damp or does it dry quickly? While you can often make adjustments by adding topsoil or digging out rocks or even by adding drainage, you do need to be aware of these issues before deciding on plants. Another factor is how much sunlight your prospective garden area gets. Trees and even your house itself may affect the hours of light and shade that fall across the flower bed. And don’t forget about young trees that may grow quickly and overshadow the area within a couple years. At the same time, the way the wind blows through your yard is a factor, as building and trees can cause certain areas to experience weird effects. You’ll also want to consider how much work you’ll be able to put into it. Some species of plants are harder to care for than others. Some may require special care in preparation for winter. This varies according to your climate and the plants themselves. Be sure you talk with your landscaper or nursery expert about what each type of plant requires. Just as important as the plants themselves is the layout where they will grow. This too has to be based on the needs of the plants and the conditions of your property as well as the environment you want to create. To start, you might want to assess a design that will go well with the architecture of your home. What’s the “feel” of the structure? Is it full of crisp, straight lines? Reflect that in your garden as well with beds that are more rectangular and even rows of plants that are more ordered. If your home is of a more rustic feel – a cottage or the like – that also can carry over into your garden with a looser feel. Curves and waves among the types of plants will naturally reflect the architecture. Of course, you’ll also need to take into account factors like the slope of the area as well as any tree lines. Go with the natural lines and the lines of the buildings to help create a garden that truly feels like it’s supposed to be there, rather than one that’s fighting against everything around it. One of the best ways to take all the factors into account is to draw a map – or maybe two. The largest one will take account of your yard and help determine the best spot for your garden within it. Then do a “blown up” section that highlights just the garden and shows where you’d like to place the various plants and any other features, like paths, benches, or even a pond. We briefly mentioned above the need to remember that trees will continue to grow. But so will your plants! Remember that the layout you’re creating now is not a final product. The plants will continue to expand. That means you have to leave room for growth. Allow space between plants based on how big they’ll grow, not on how big they are now. Even if you choose annuals – that is, plants that only live one year and need to be planted each year – it’s important to leave room for their development. Also, you need to leave room to work in the garden. If you have a simple flower bed that’s only a couple of feet across, this might not be a bigger concern. But a larger area will mean you need a space to step and work even in the center of the area. And you don’t want to crush other plants while you’re doing so. Now that you know what your garden will look like and what flowers you’ll have, you’ll want to think about enjoying it up close. Being able to walk along, around, and through the area is an added benefit. It’s one thing to see it from the curb or the window, but it’s even more enriching to actually be surrounded by it. Having a path of some sort is the perfect way to get the most out of your flowers. Being able to walk along among them without damage grass or getting your shoes muddy or wet is a wonderful way to enjoy the richness of their colors and their smells. There are various types of walkway you can choose. Again, this will depend on the layout of your yard, the architectural style of your house and the basic look you’d like to achieve. On the one hand, your walkway might come first and be a natural limit for your garden. For instance, you may have a simple flower bed along the front wall of the house that simply takes up the space between the house and the walkway to the front entrance. Or perhaps it follows the edge of the driveway. But you could also do the reverse. The garden could be apart from the house. This allows a bit more creativity. You can decide whether the path will be straight with precise angles around a square or rectangular garden. Or, the path could meander and take a looser path to match the free-form design of your layout. Various materials can be used for garden walkways. 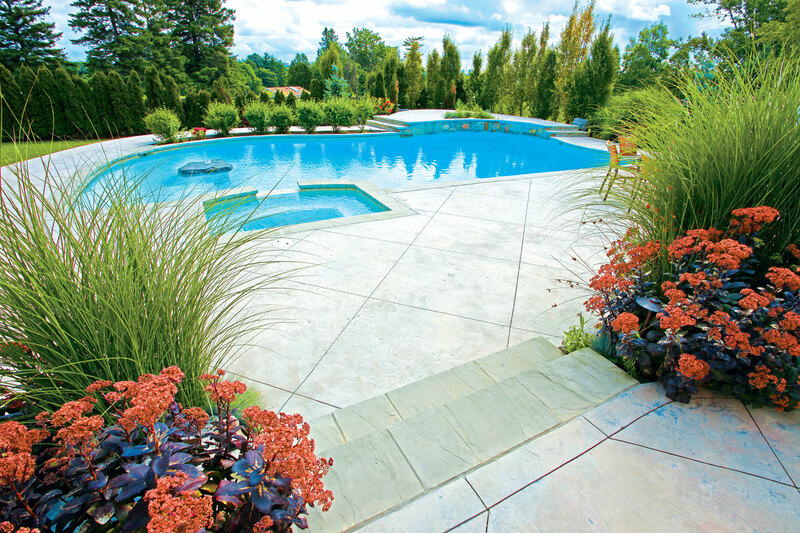 Gravel, pavers, natural stone, and wood all make attractive options. And of course, stamped concrete is an excellent alternative to these. Your choice for the style and appearance of your pathway draws on the same factors as the choices for the garden itself. It can match the type of garden, its color, and the architecture and history of your house. You might also want to consider a raised lip along the edge of the path. Since you’ll be digging in and mulching your garden, the lips will help keep dirt and mulch where it belongs. It can also, along with the plants themselves, help prevent erosion. One positive of having stamped concrete as your surface is that you avoid a lot of the weeding that can come with the other options. You can mimic the appearance but without having to worry about weeds growing through. You also have greater durability. Stamped concrete is also less likely to crack than other surfaces and won’t rot the way wood can. The lip along the edge can also be made with decorative concrete to match the pathway itself. And if you want to add planters or raised flower beds, these are easy additions. Few things add so much color and warmth to the outside of a home as a beautiful flower garden. With some planning, you can design your garden to fit in great and highlight your home and the surroundings. Trimming it with a great path will make it even more enjoyable and give you a new way to relax!